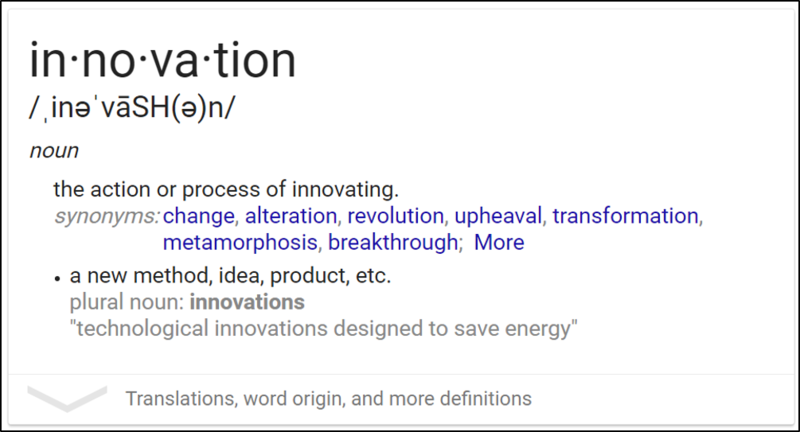 Innovation is one of my passions. It's not only exciting to explore new ventures; it's important. Crucial to the future of this country and this planet. Some kinds of innovation might seem superfluous. A new flavor of potato chips. But that new flavor of potato chips could actually create new jobs. And a new treat to enjoy life just a little bit more. Even if you don't like potato chips; even if you think they should be eliminated from the diet of every human on earth, which I can understand, they still represent innovation in its purest sense. Last week I was in a meeting discussing the need for innovation to keep Aspen thriving in the face of changing weather conditions and off-season challenges. Some were suggesting that the off-seasons were a way of life for the town. Sure, I agreed, it's not as lush and green as the summer in the fall, and the leaves only change for short while, leaving a gap in time between the getting enough snow for ski season. In a previous article on this blog, I called it "Aspen Without Makeup." It's still beautiful, though. It's still a town with a lot to offer and a lot to do. Then I saw this article and cheered up. (I'd always wondered why there weren't more things like this. I especially questioned why people can't learn to "luge" here. Why there aren't bobsled rides and the like. This is an even more interesting option. Sure, I can appreciate the downsides. But this is an example of my being more of a capitalist than a liberal. Innovation is about solving problems. Finding creative solutions. Uncovering new opportunities and ideas. Yes, there's risk involved. And potential "resisters." Goes with the territory. They don't call innovators pioneers for nothing.